Skey is President of SheKnows Media, a media company providing content and community to 70 million women. In addition to its flagship SHEKNOWS.com digital properties, SheKnows Media operates BLOGHER and STYLECASTER. Prior to SheKnows Media, Skey was Chief Revenue Officer for Recyclebank. She was Executive VP of Strategic Development for Alloy Media + Marketing (now Defy Media) for a decade and has served in management positions at The Walt Disney Company and CNET and ThinkPassenger, Inc (now Fuel Cycle). 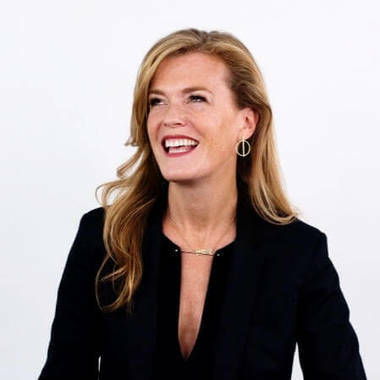 Skey's awards and recognition include: Women to Watch, Advertising Age (2017); Women of Influence, New York Women in Business (2017); Top Mobile Marketing Women, Business Insider (2015-2017); The Sister Accord Leadership Award (2017); Corporate Visionary, Folio Magazine (2014 & 2016); Advertising Hall of Femme, DMA (2015). She serves on the advisory boards of The Ad Council, The IAB; Digital Ascendant, SmartyPants Ltd., The Bronx Academy of Letters and RewardOps. In Advertising and Brand Building does Quality of Content Matter? The value of media to advertisers has historically been measured by quality of audience and quality of content. The concept is that a high-quality environment produces a positive consumer perception of the adjacent brand. At its core, the premise is that a brand is defined, in part, by the company it keeps and the content it produces. Yet, as an industry, we have not produced and automated mechanism to ensure that the company a brand keeps- article by article- represents its core values. We have spawned a full industry of branded content that produces its own editorial context.